Happy Spring everyone! I LOVE Spring. It is probably my favorite season, and I enjoy everything about it-the weather, flying kites, gardening, eating dinner on the patio. I'm excited to release my NEW Spring Preschool/Kindergarten Activity Pack today! With 20 pages of printable fun, your child will have plenty to do and learn! This pack includes: tracing, cutting, glueing, matching, creative writing, coloring, lacing, reading, and counting activities. It also includes a calendar page for tracking the Spring weather! This pack is for your personal home or classroom use only. Teachers may use them as send-home or classroom activities. Please do not sell, distribute, copy, or host any of these files on your own site. If you wish to share this document, please direct people to my site to download their own copy. Thank you for respecting these guidelines! 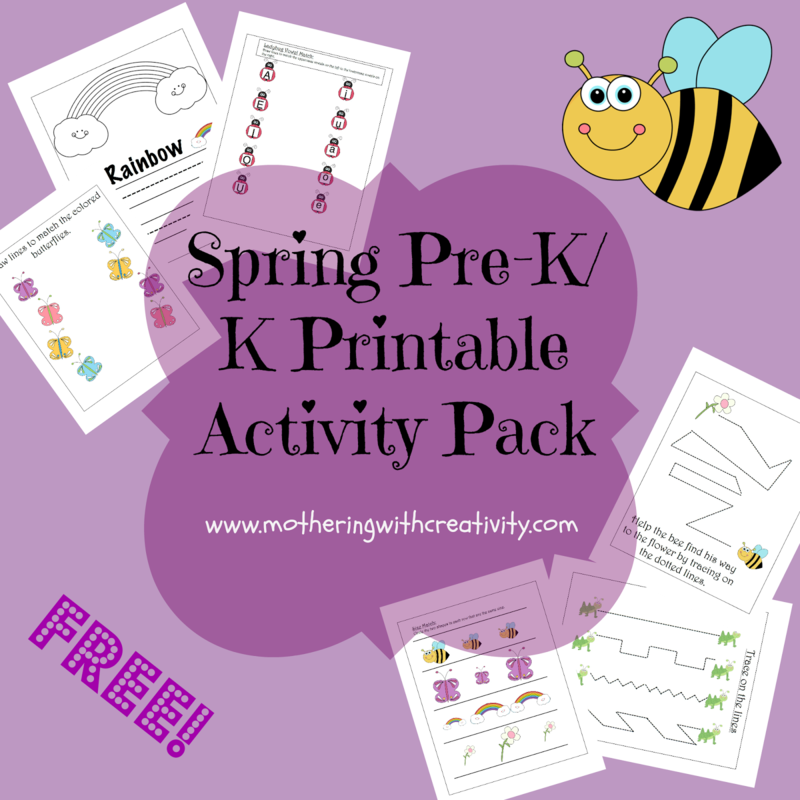 Click below to download and print your FREE activity pack!